Blowering Dam is located approximately 15kms from Tumut, off the Snowy Mountains Highway. 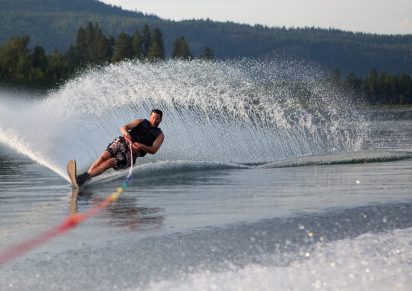 The dam is ideal for water sports such as waterskiing, jet boating, canoeing and kayaking. There are also several picnic and camping areas located around the dam. It was on Blowering Dam on the 8 October 1978, Ken Warby driving his jet powered boat “Spirit of Australia” set the world waterspeed record of 511 KM/H. The dam has 4 wheel drive access both sides. 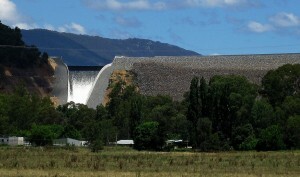 There is also a picnic area at the Dam Wall which is 8 kilometres from Tumut along the Snowy Mountains Highway.